I’ve been playing with the new ModMyPi PiOT Relay Board over the last few days, and as you’ll guess from the name, it includes relays. Relays allow you to switch (turn on/off) higher voltages than the device you’re using. 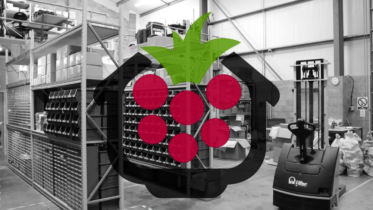 I use the Raspberry Pi for example, which offers 5V at the very most. But what if I wanted to use my Pi to turn on/off a 20V motor or another device higher than its limit? That’s where relays come in. But what kind of voltages can you safely tinker with? For amateurs like us, certain sources say up to 50V is fine, and ideally won’t cause us to be the guy laying down at a funeral. I’m not really up for testing that out on my own body, but it did raise a good point – despite some products being rated at 240V or higher, you really REALLY don’t want to go there. HEAVY DISCLAIMER: I am not an engineer. I’m not an electrician. I’m an uninteresting office boy with a craving for low-cost electronics. I’m learning just like the rest of you. If you fry/BBQ/kill yourself messing around with relays or any other electronics – I am not responsible! 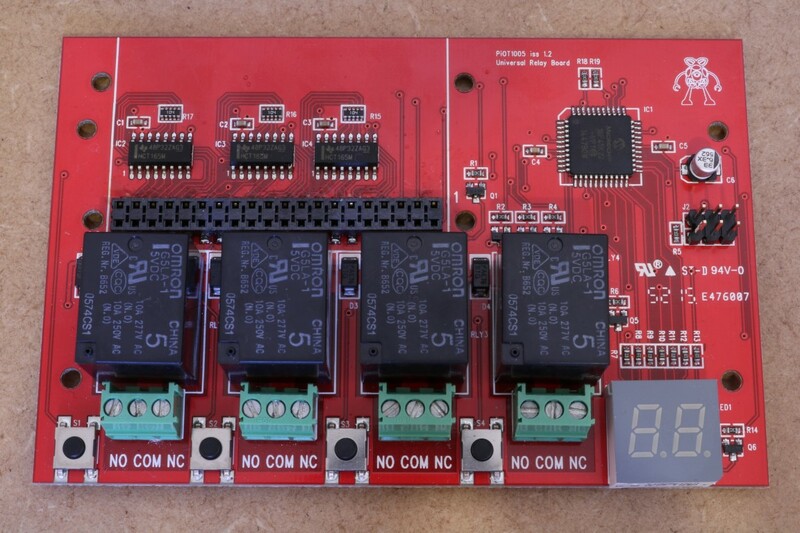 First, let me show you around my new toy this week – the PiOT relay board from ModMyPi. Ignoring the layout, the PiOT relay board is quite a smart little chap. 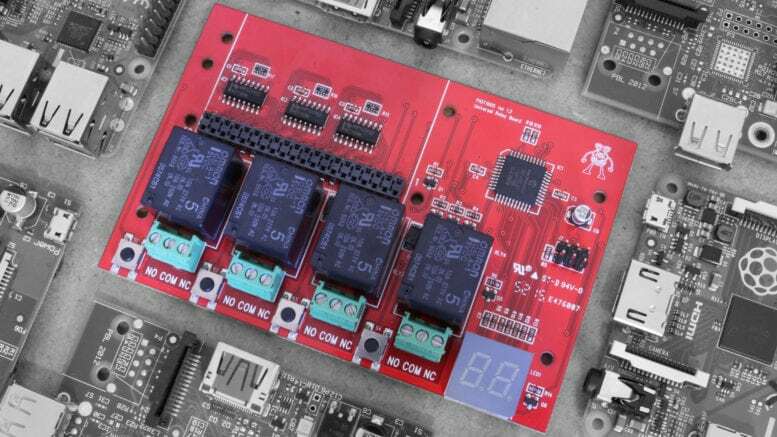 The 4 relays are connected to the Pi through the clever use of a PIC micro-controller. The PIC is the brain behind all the annoying stuff you just don’t want to waste your precious time with as a weekend coding warrior – voltage dividers, transistors, diodes, wires, jumpers and more. Look – a quick slick pic of a PIC! You’ll also notice a 7-segment display at the front, and some buttons next to each relay. This is what you use to set the GPIO pin for each relay, and because of the clever PIC business, you don’t have to fumble about with jumper wires to do this. It’s certainly a lot simpler than it looks. I was originally a bit tentative as I hadn’t used relays previously, and all the display/PIC/button business looked a bit beyond me – but it’s super simple once you’ve spent 3 minutes reading the guide. Menu control buttons next to each relay. These are not to be used once wires are connected! This is another handy board that requires almost no setup. Most of that is covered by the pre-configured PIC controller, meaning all you have to do is plug your wires, tie the GPIOs to the relays using the buttons, and then simply set GPIOs high or low to switch the relays. If you want fancy on-screen button controls, ModMyPi have made a Tkinter GUI for the board as well. Seeing 3 terminals for each relay confused me, so let me explain it. Firstly, all the relay is doing is ‘making or breaking’ your circuit. If you had a simple LED circuit, you’d chop the 5v line and chuck the 2 chopped ends into the relay. That’s all you’re doing here, so don’t let it confuse you. Secondly, you’re only wiring into 2 of these terminals at any one time, and you always put one wire in the ‘COM’ (common) terminal. NO – Normally Open – this means when the relay is off, the circuit is broken and your device is off too. This feels like the safer option to me. NC – Normally Closed – this means the connection is usually on/connected even when the relay is off, and is only broken when you turn the relay on. Here you can see me using the NC terminals, which I quickly changed afterwards to NO – I didn’t want things to be turning on from boot without me saying so! What followed was a lot of concern from the more qualified members of the community. Electricians, engineers and the odd troll weighed-in to inform me that I was putting my life at risk. My response? “But the relays are rated to 240V 10A?” – pity me, the almost-dead fool. Here’s the deal. 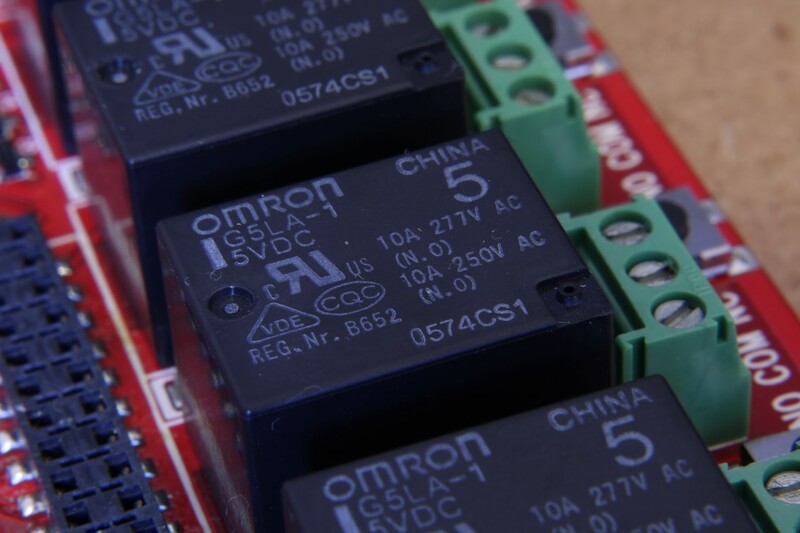 Whilst the relays are rated that high, and whilst it did work, it seems most professionals would advise us regular folk to keep any ‘maker’ voltages below 50V (and some will say lower than that) – relays or no relays. We made a new term today – ‘Maker Voltages”. Maybe it’ll catch on and save some lives. It was a cool project until I realised its potential to stop me seeing retirement! …being qualified and knowing what you’re doing! No. Relays are cool. Really cool. I think the problem here is taking the ratings for face value. Yes the relays are rated to 240V, but in this specific board, used with these specific components in this specific layout – don’t even think about it. The fact that they’re rated high means they’ll perform well with whatever ‘maker’ voltages you want to throw at them, but keep away from the mains my friends – it just ain’t worth it! 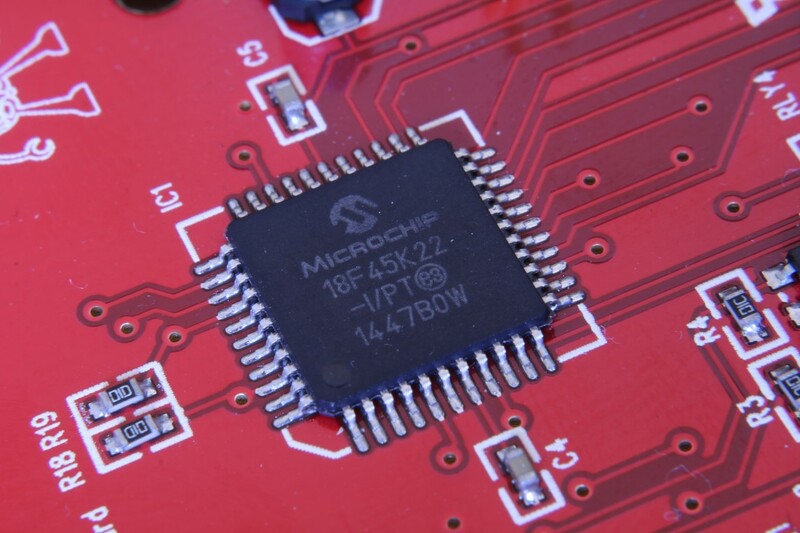 Even taking the board out of the equation still means that you’re fiddling with bare wires that, with one mistake, could send you across the room. The relays are rated for mains power, but that doesn’t mean you should start fiddling with 240V wires. Whilst writing this I thought “Don’t transistors do the same thing?”. I hadn’t used a transistor before so I did some reading. Despite nearly ending up like the big fish in Jaws 2, I’m actually a big fan of the PiOT relay board. The shape and size isn’t my personal taste, and the guide could do more to deter us average folk from any temptation to chew on mains power cables, but looking past that – it’s really neat. Setup is a 3 minute job, there aren’t any libraries or software to worry about and all the annoying fiddly parts have been taken care of. Now that I have my sights on lower voltage devices to switch, I think this is going to end up on my Raspberry Pi media centre – turning my noisy external hard drive on or off via my phone. I’ll post that project shortly. I’d love to hear your thoughts on the subject. Perhaps you’re qualified in this field? Maybe you’ve got a great idea for a use for this board? Add a comment and join the discussion. 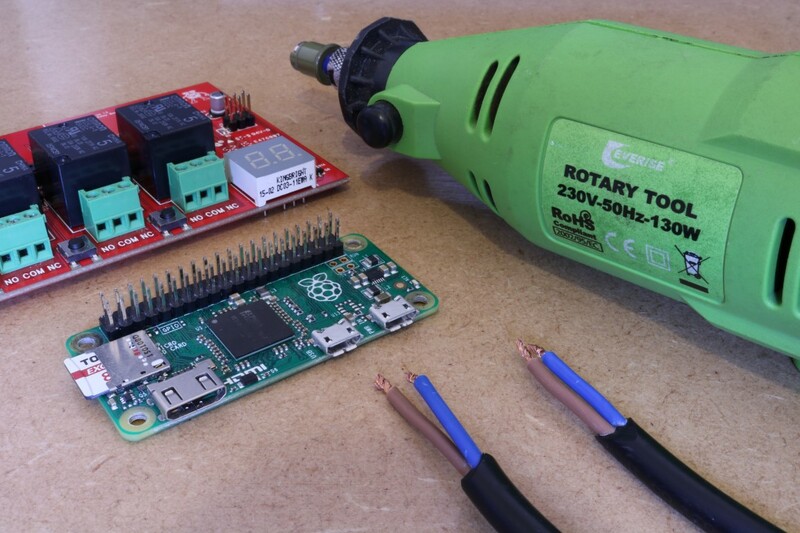 5 Comments on "The PiOT Relay Board for the Raspberry Pi"
Suggestion for anyone trying to control higher voltages and loads like house current. Use this relay board to control 12 or 24 volt DC circuits (w/fuses) and then run those wires to a 2nd set of relays in an enclosure. Follow local code or get an electrician to install the 2nd enclosure/relays/wires and protection. This will keep you and your project away from dangerous voltages and currents. This setup is used in most people’s houses already for doorbells and thermostats. Note: Most of the relays we use to control 120Vac or 240Vac house circuits are rated 600+Vac. I havent looked at the PiOT relay board yet but I think that the board may be safer than has been suggested to you. ModMyPi haven’t shared any photos of the bottom of the board but if there is suitable segregation between the tracks then board may be safe for mains voltages. The terminal block looks similar to a 16A 300V rated one so may be safe (appearance is no guarantee). General electrical advice is that non electricians shouldn’t work on mains voltages and that is for very good safety reasons. Bare wires at mains voltages anywhere that you could come into contact with them is indeed a bad idea, they should be well out of reach of fingers. strain relief should be applied so that a tug on the cable wont pull the wire out of the connector block. Relay bases are specifically made for different types of relay, they have screw terminations and are designed to be fixed into various types of enclosure. Thanks for this post. I love reading them. This board looks very interesting, although I don’t think I have a use for one….yet! The hype about the danger of working with mains voltages are overblown. Sure you could get killed but you could get killed driving a car or many of the other normal things we do. There is risk everywhere. In spite of that no one says you should be a race car driver or driving instructor before you drive a car. You don’t need to be an electrician to safely work with mains voltages. A more correct statement is that you should not work with mains voltages unless you have been properly trained by an expert. It is not a good thing to try to teach yourself since some of the risks are not obvious and the worst case result of a mistake is death, not something to play around with. It is important to know where the risks are and how to avoid them but that doesn’t require a full electricians training to learn. I was taught by my father when I was 11 and ever after (until I moved out) all electrical work in the house was my responsibility. My father is not an electrician. 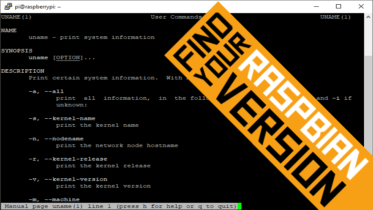 A quick tip for you today folks, to show you a few different ways to identify the Raspbian version you’re running on your Raspberry Pi….